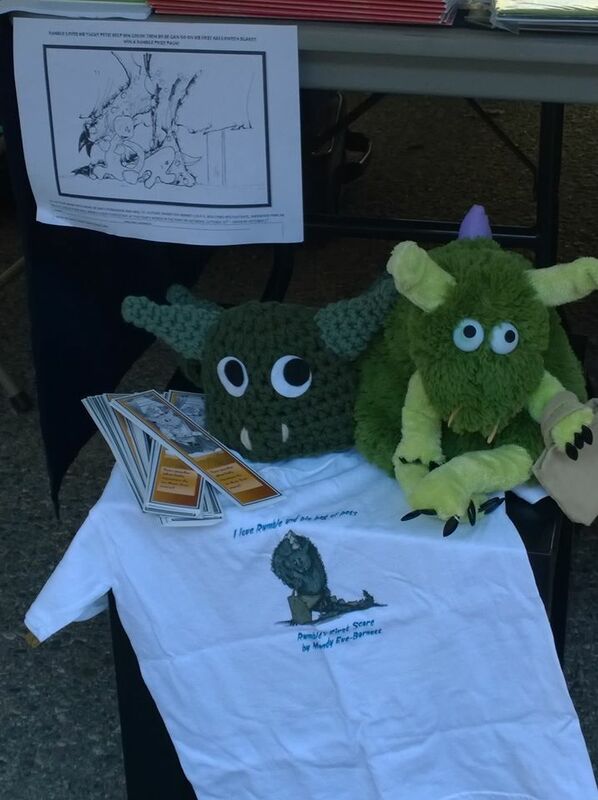 After my wonderful long weekend and attendance at Word on the Street in Lethbridge, I was delighted to find out that a short snippet of showing my soft toy of the Rumble character from my children’s picture book, Rumble’s First Scare was shown on the local Global News. It may only be a few moments but I am over enjoyed. If the little girl had not been enamored of Rumble, the cameraman may have walked past. You can see Rumble (little furry guy) sitting watching his visitor at 1.32 on the timeline. He is bottom left of the picture. I have requested a copy of the whole segment recorded and only hope I am allowed to have it. Prior to the clip the little girl was cuddling Rumble…so sweet. Fingers crossed they say Yes. Today was also an unexpected opportunity. I arrived at work as usual at 7.30 am to find the telephone and computer system were nonfunctional. As this is quite a common occurrence, I made a cup of tea and waited for it to reboot…and waited…and waited. To pass the time I wrote and revised my current story and as usual became quite engrossed. Several hours passed and eventually, my manager left to work at home and I waited and waited. By 2 o’clock several of the staff from downstairs had already left. So I asked if I could also leave. My request was granted and I made my way home in the rain to write this blog post. So here I am home early on a Friday creating my blog post and preparing for the event tomorrow. Coloring sheets have been printed for Rumble’s coloring contest and Rumble has had minor surgery to fix his ‘floppy’ neck. Tomorrow will be an early start – we set up at 8.30 am for Alberta Culture Days. I will be wearing a couple of hats – one for my writing group Writers Foundation of Strathcona County and the other as an author for Dream Write Publishing. With many interactive displays to try out and lots to see we will have a busy day. Come and see for yourself. The event is free. If a window of opportunity appears, don’t pull down the shade. Tom Peters. Write about a time you took advantage of a situation. Congratulations Mandy way to go! Now Rumble’s a TV, star Yahoooo!